There were so many great books out this week and I am bummed that I couldn't get them all. The current arc of The Sixth Gun is one of my favorite thus far in the series and the second arc of Ghosted is off to a hauntingly good start. If you are a fan of horror and the supernatural it is a great time to be reading some funny books. 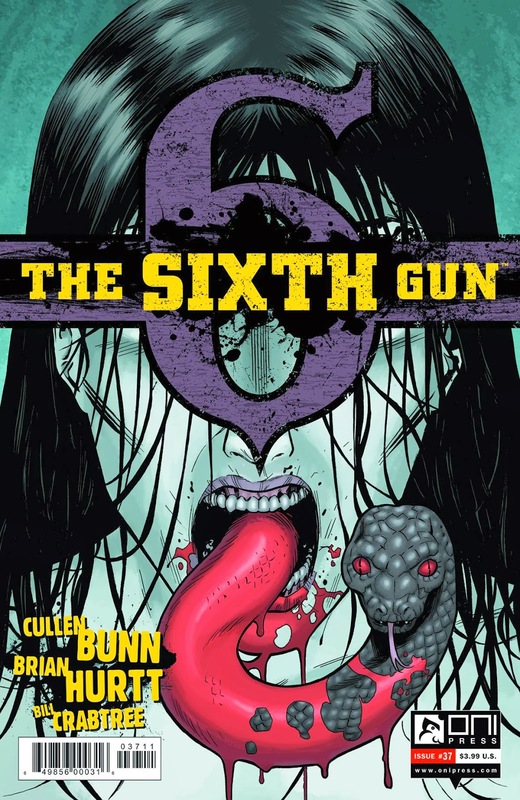 The Sixth Gun #37 - Curse you Cullen Bunn! I don't want to have to wait until the next issue to see what happens. The beginning of the end is upon us and there is no limit to what ends people will go to in order to claim the six. Sinclair and company have brought the devil to Brimstone and he isn't leaving without the six. Jesup, who was given Missy Hume's gun from Griselda the Grey, launches an all out assault in order to claim the six and isn't beyond burning down the entire town in order to get his hands on the guns. I loved seeing the guns in action again and tore through this book at a feverish pace. Bunn is the master of the suspenseful ending and once again he has me plagued by the final frame. While I don't want to see this series end, it appears that Bunn is sending this series off with a bang. 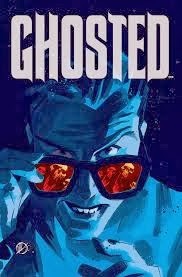 Ghosted #6 - The second arc of Ghosted is already off to a smashing start. Quickly becoming one of my favorite comics, Joshua Williamson and Davide Gianfelice put together a simply stunning book. Protagonist Jackson Winters, a former thief, cannot escape his past and his reputation of someone who can steal the supernatural. After successfully stealing a ghost from the Trask Mansion, Winters appears to want to live the easy life. With the large number of individuals he has wronged, Winters is not likely to find peace anytime soon. Gianfelice does a masterful job establishing a dark and creepy mood for this title. The scenes in the Trask Mansion are glorious and I look forward to uncovering more about this mysterious house. I have a feeling that Williamson has a lot of surprises up his sleeve for both the Trask Mansion and Winters himself. If you are a fan of the Sixth Gun or Locke and Key you should do yourself a favor and pick up this title. Harbinger #20 - I decided to check out this Valiant title after hearing some good rumbles about it and it being dubbed a good leaping on point. I am glad I checked it out, but felt a little lost at times. Toyo Harada, a man with immense psionic powers who leads the Foundation, has taken control of the world through his invisible control of the corporations. Two groups, the Renegades and Project Rising Spirit (comprised of individuals with psionic abilities) oppose the Foundation and recently escaped the artificial reality that Harada had imprisoned them. Harada seems to be in full control, but the Renegades begin to emerge and an uprising may be imminent. I enjoyed how Harada took control via terrorism, but with his unique ability was able to gain legitimate global control and support. Fun, action packed series that captured my interest. I will check out another issue or two to see what goes down. Skyman #1 - A new superhero comic from Dark Horse, Skyman has an interesting premise that I hope pays off. Project Skyman is a secret government program that has been keeping the U.S. safe for quite some time. The methods aren't really on the up and up and a couple of incidents has president in hot water. In an attempt to save the program, sergeant Eric Reid has been recruited as the new Skyman. Tensions are high as Reid's introduction to the program is a PR stunt that has offended some of the members currently in the system. Throw in some racial tension and the fact that Reid is disabled without the suit and you have an idea that may just work. Not fully sold, but will check out issue #2. 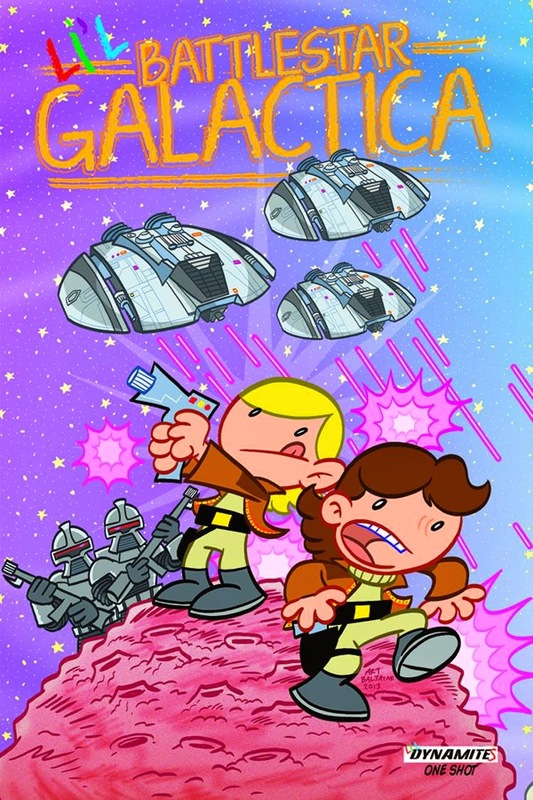 Li'l Battlestar Galactica One Shot - Art Baltazar has returned with another all ages title for Dynamite. This time the Battlestar Galactica (the original) world has been turned into a Saturday morning cartoon by Mr. Baltazar and the results are pleasing. His style translates well to the Galactica and readers will be treated to a fun book that will be equally enjoyed by the little comic reader in your life. Fun book.